I love jackets, scarfs, hats, gloves and just about anything winter clothes related. 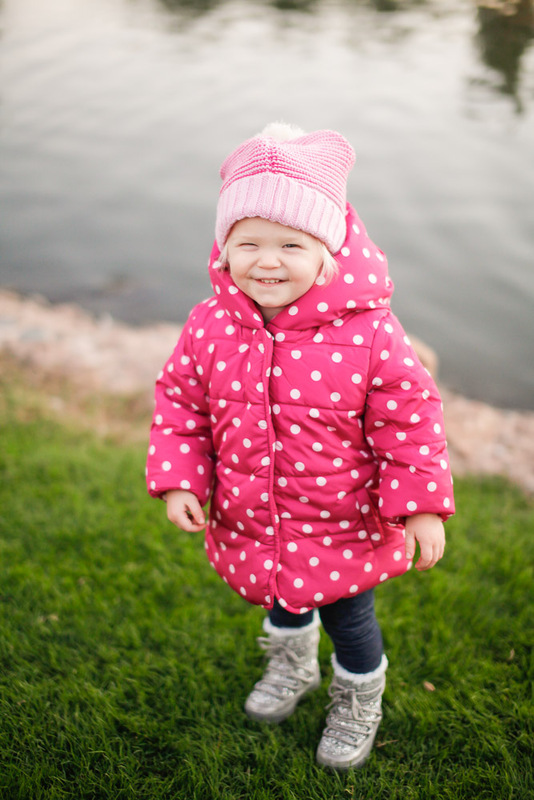 So when it comes to picking out adorable winter looks for my girls, I have way too much fun! Contrary to popular belief, Phoenix can still get chilly in the winter. Subzero? No. Teens to 30’s? You betchya. For this reason, I need to get my girls ready for the change in season. 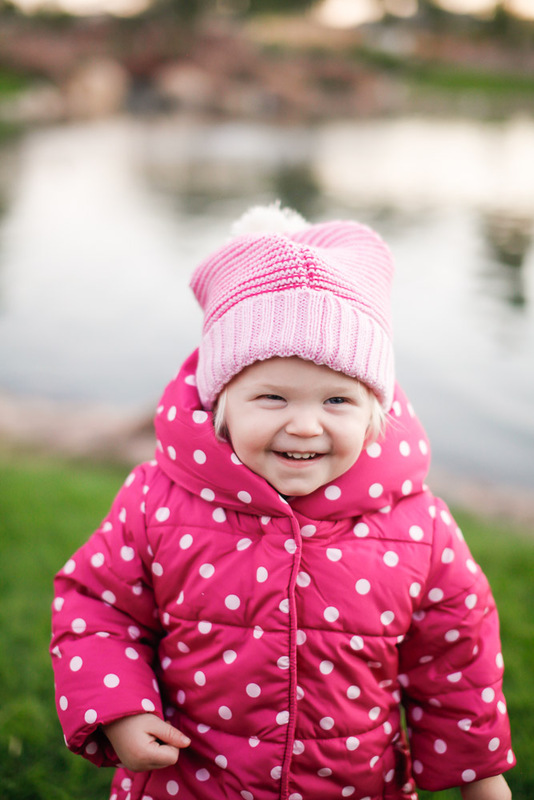 For my little ones, I love bundling them up in the marshmallow-like puffer jackets with a coordinating hat. There is nothing cuter in my mind than a BUNDLED marshmallow running around! 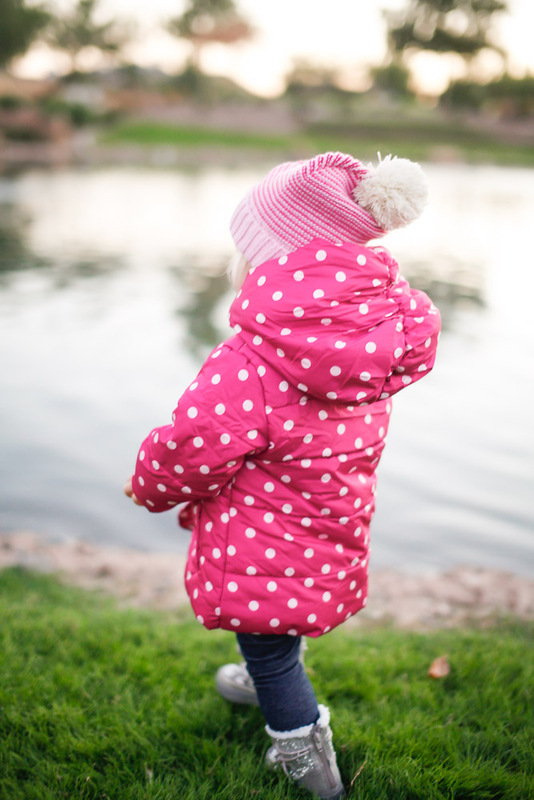 When searching for a good winter item for a baby, toddler or child, I recommend looking for items that can come on and off easily and that are simple to wash. I have learned this the hard way with my mess-makin’ mini’s! I also look for items that are bright fun colors and patterns, because why not, its for the kiddos. I recently fell in love with the winter collection at The Children’s Place and I adore what they have to offer this chilly season. 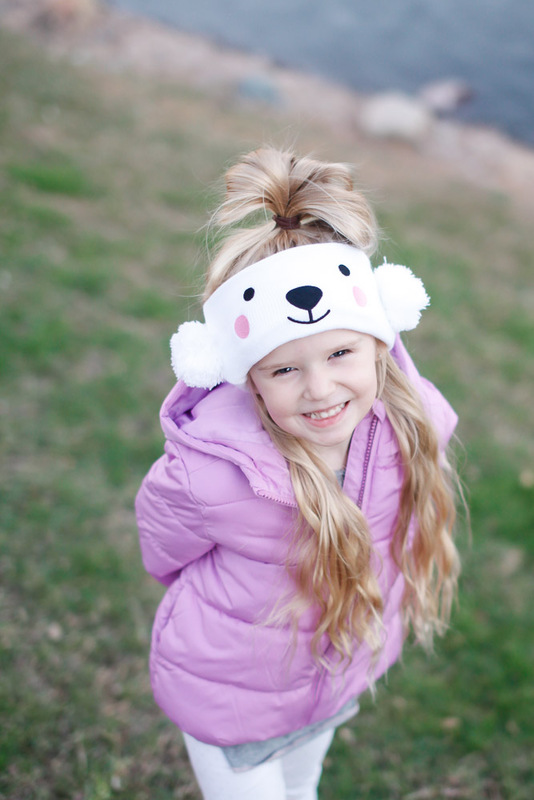 They have amazing prices, great quality items and styles for all of the kiddos in your family. Paisley is my purple loving preschooler so she always wants something in a purple tone. And because of that, by default, Payton is always covered in pink thanks to her sister! 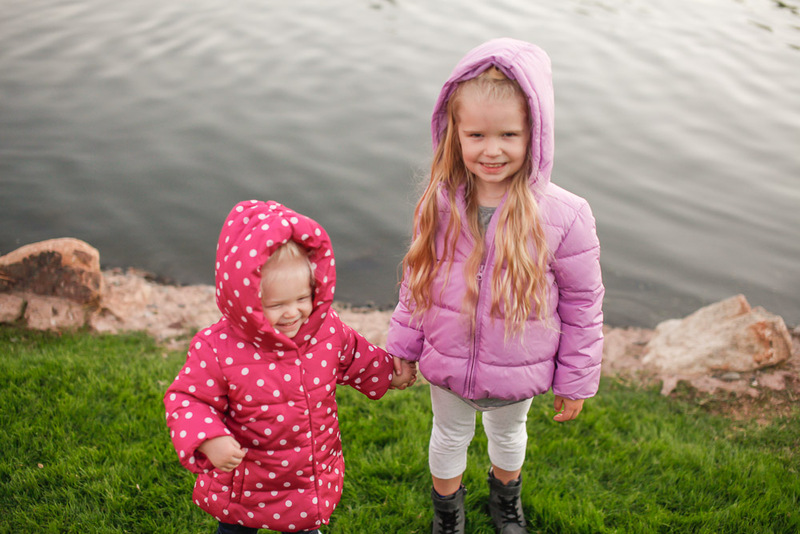 Paisley is wearing the Toddler Girls Long Sleeve Hooded Puffer Jacket in size 5T. 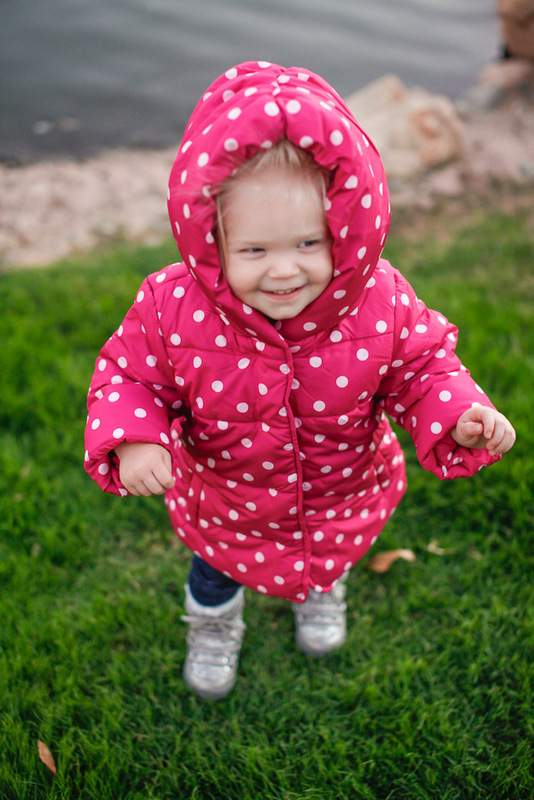 Payton is wearing the Toddler Girls Long Sleeve Hooded Shawl Puffer Coat in size 2T. 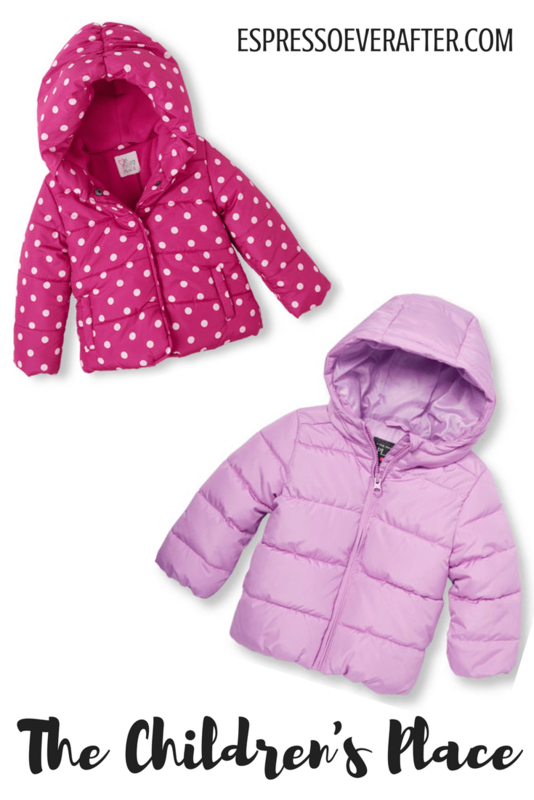 I picked out these adorable puffer coats for the girls this year at The Children’s Place and we are thrilled with them! The girls have already ran through the woods and jumped in giant piles of leaves in them, and they are looking forward to some snowy adventures ahead. But it doesn’t stop there, The Children’s Place also has the cutest peacoats and jackets (lightweight to heavy). I also love their hat and glove sets because they come in the cutest colors and patterns; and don’t even get me started on their adorable boots and scarfs! I wish they came in my size! 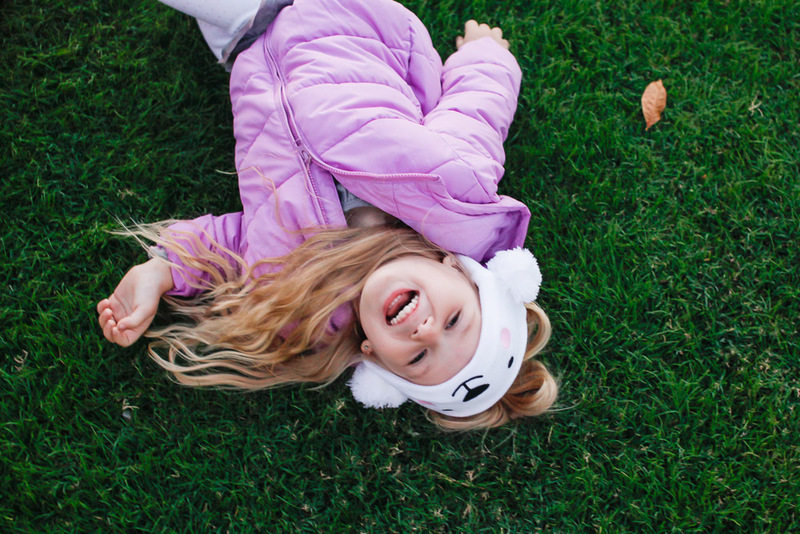 Click HERE to browse all of my favorite winter items from The Children’s Place new fall/winter outerwear collection, you will love what you see! If you love what you see… PIN IT!!! Oh my gosh, those puffy little coats! So cute! They are adorable and a fabulous price! These are so cute! I’ll have to look and see if they have any good boy options. My little guy is in need of a coat this year…if the weather ever cools down that is. Haha. Sheila – Their boy options are just as cute! You will love them!